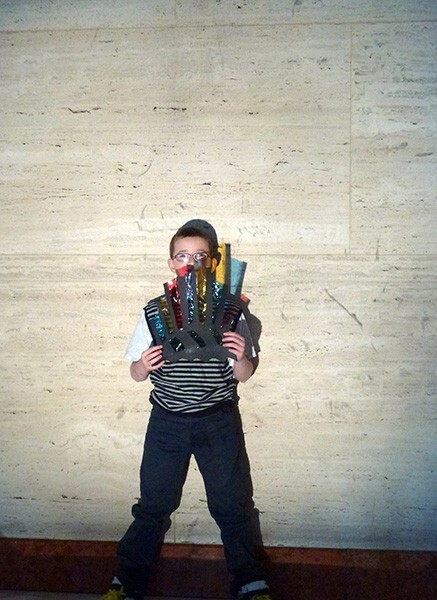 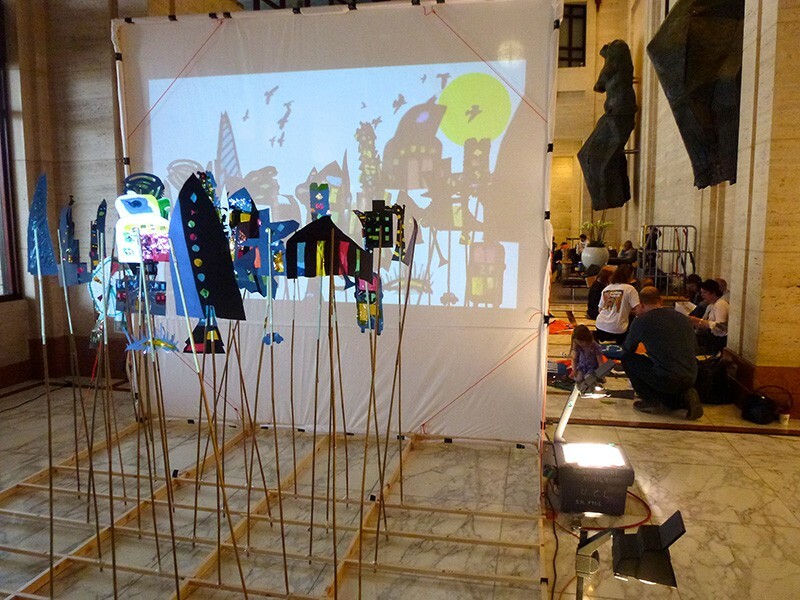 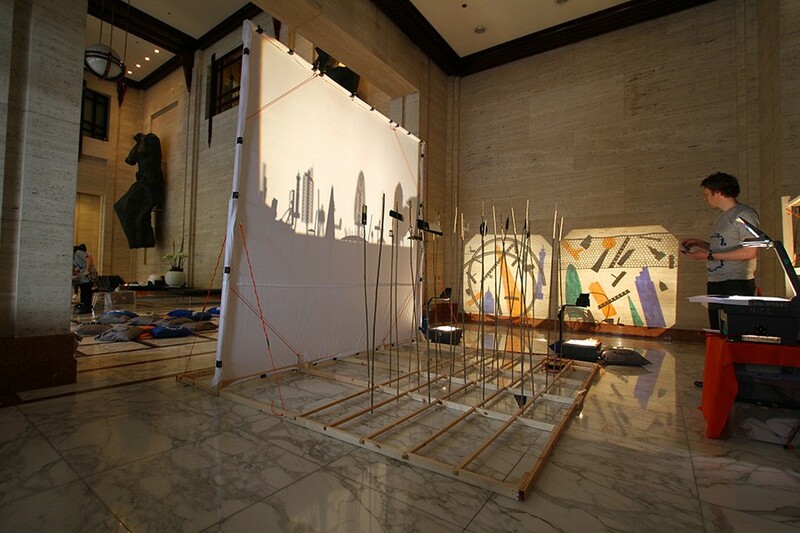 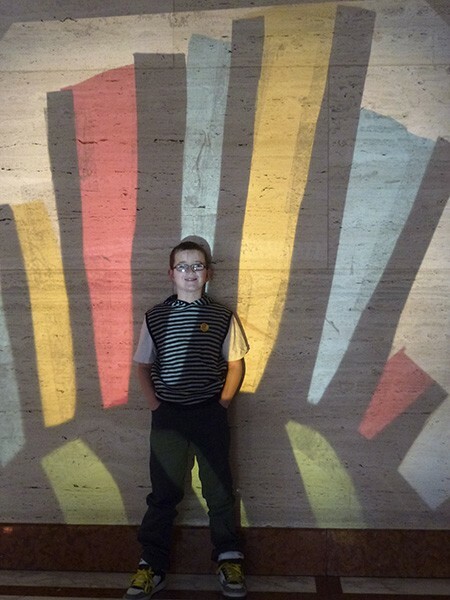 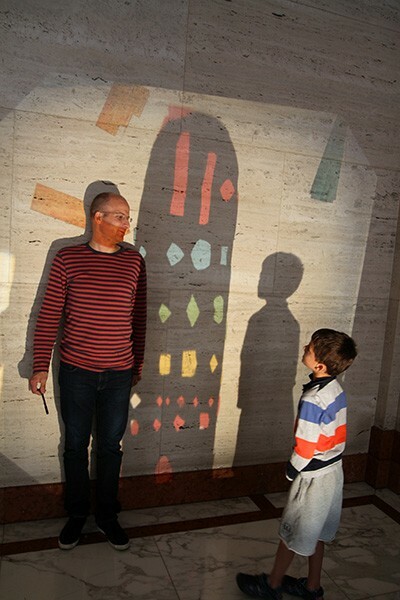 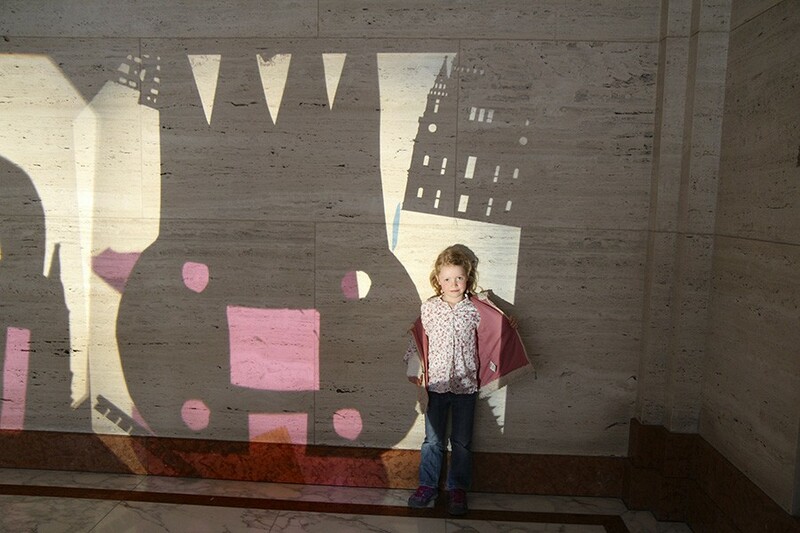 Skyline Shadow Show is a dramatic demonstration of scale where children design their own skyscrapers to join the London skyline. 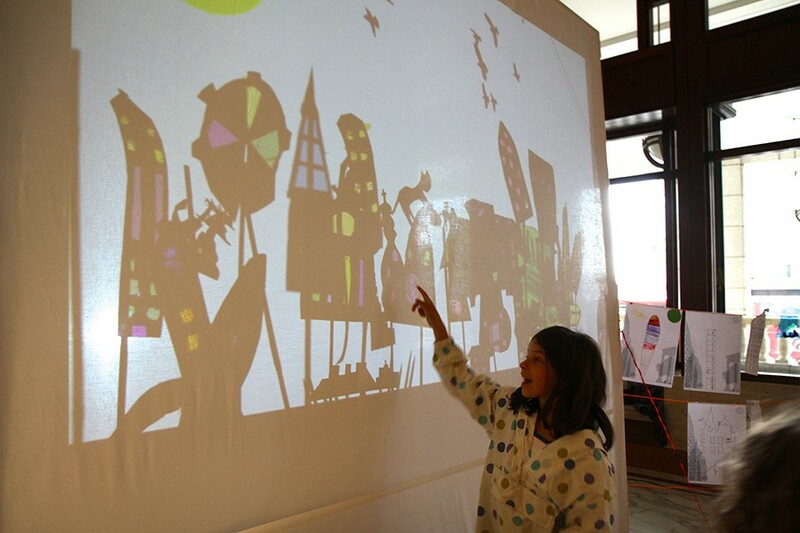 They are performers in a giant filmed shadow puppet display show. 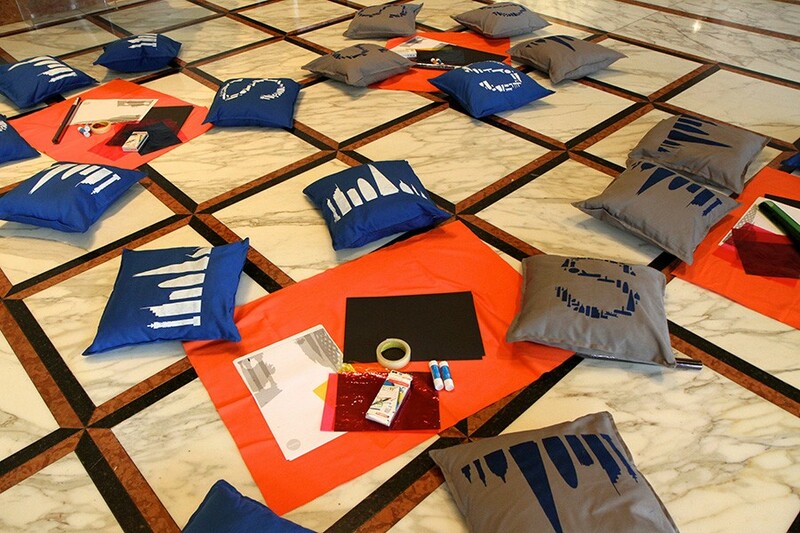 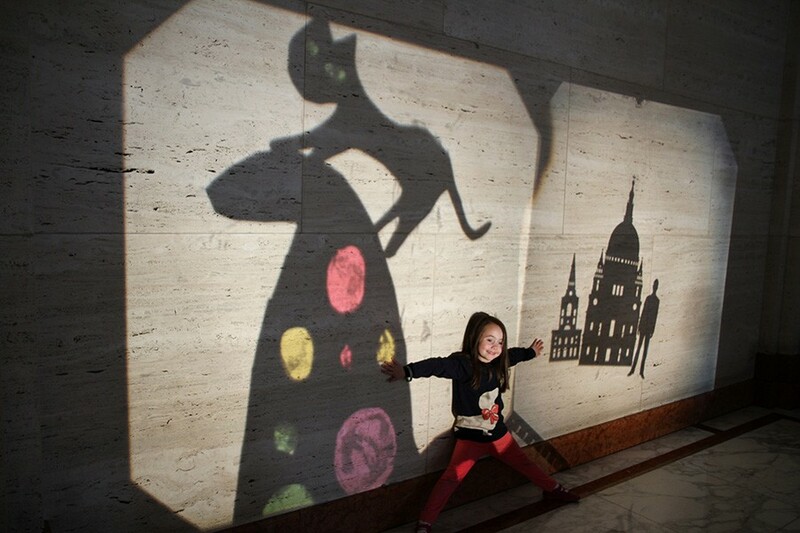 Each workshop begins with projected silhouettes of London’s skyline. 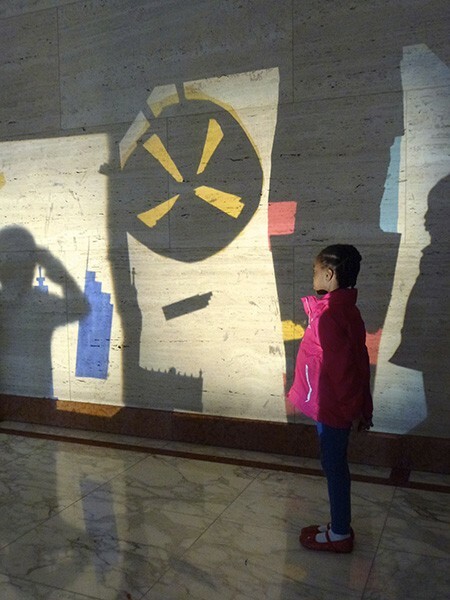 We reveal that each silhouette is of a different size placed at different distances away from the spotlight, which leads into a discussion about scale. 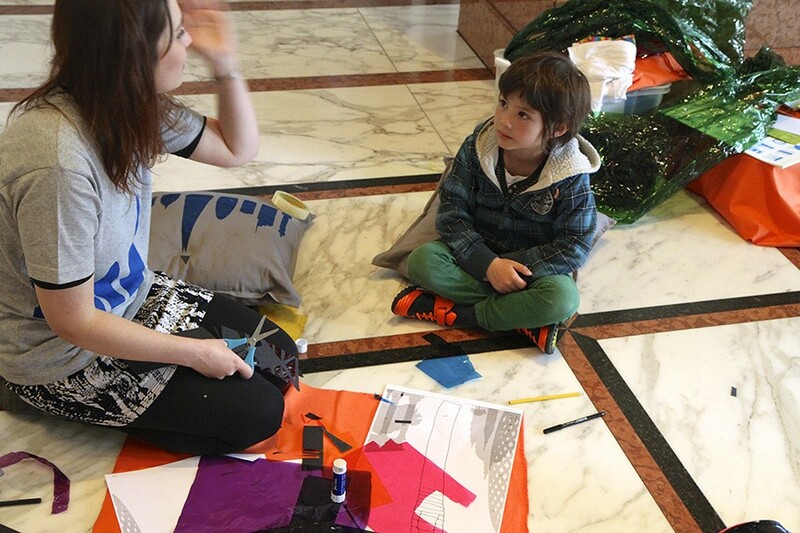 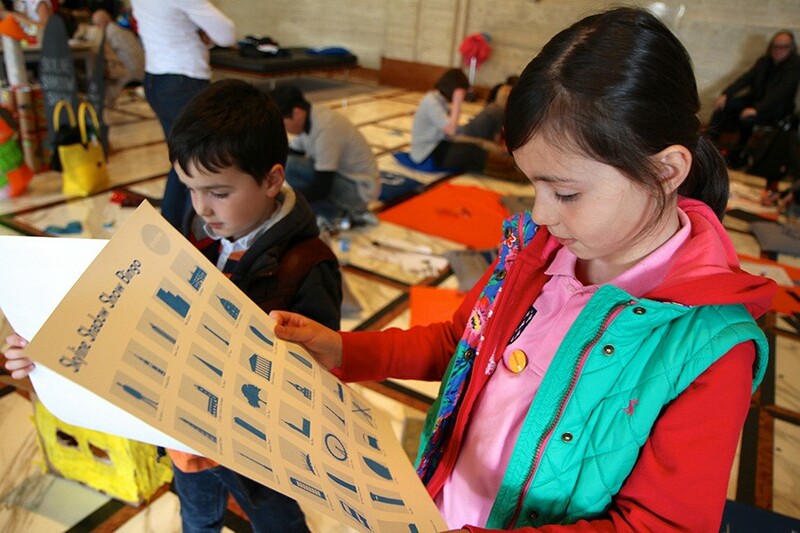 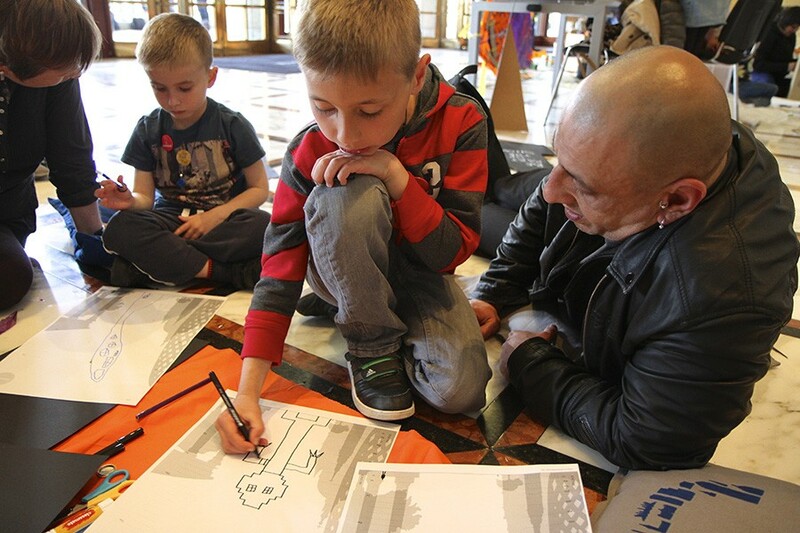 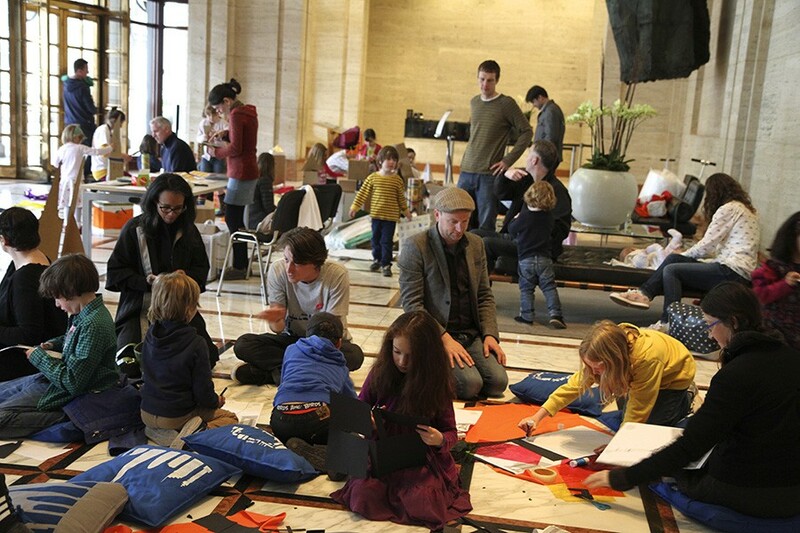 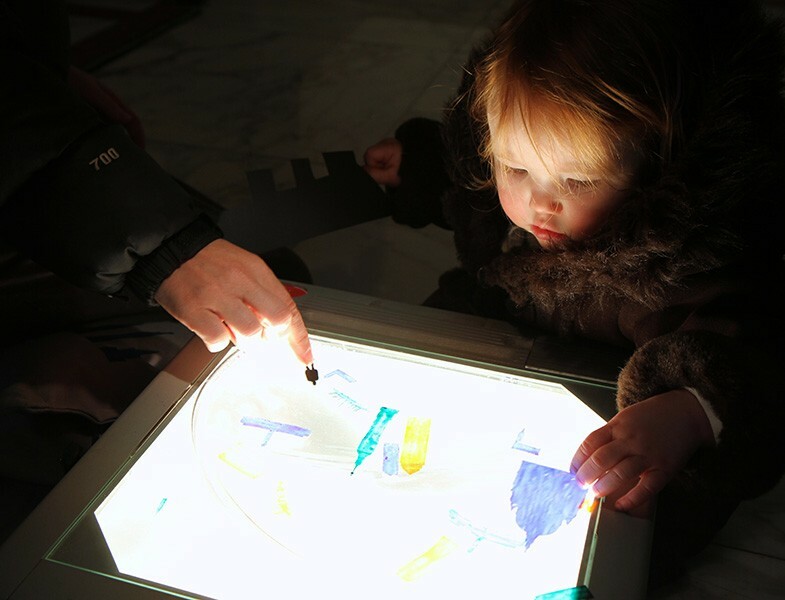 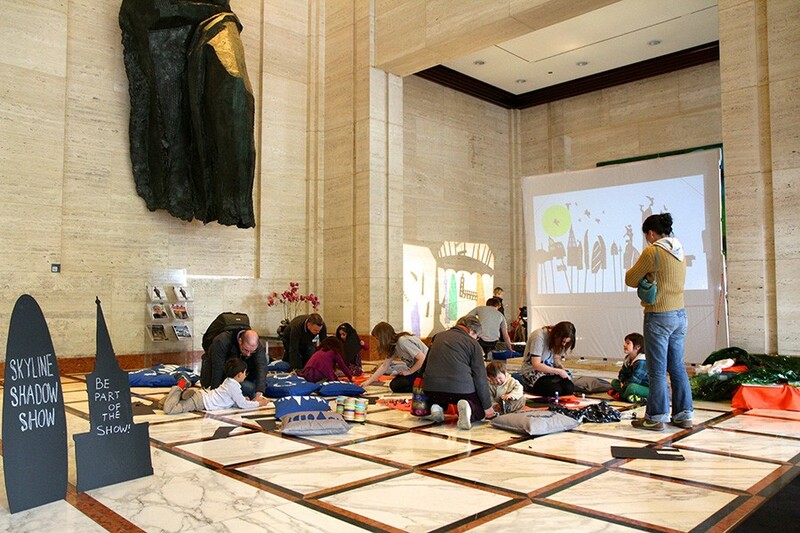 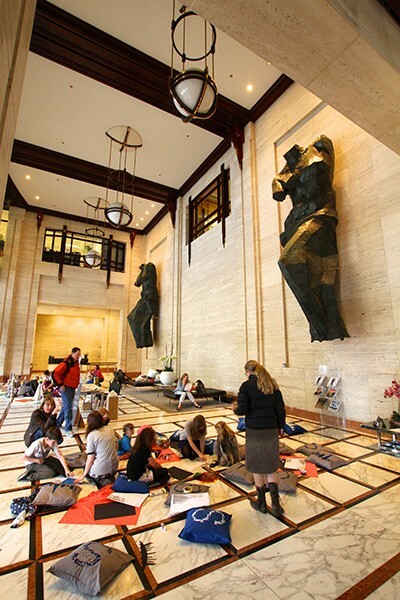 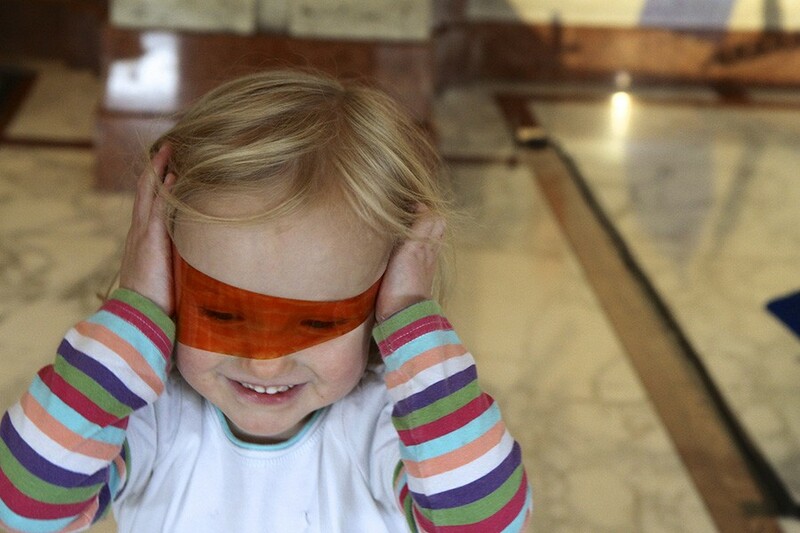 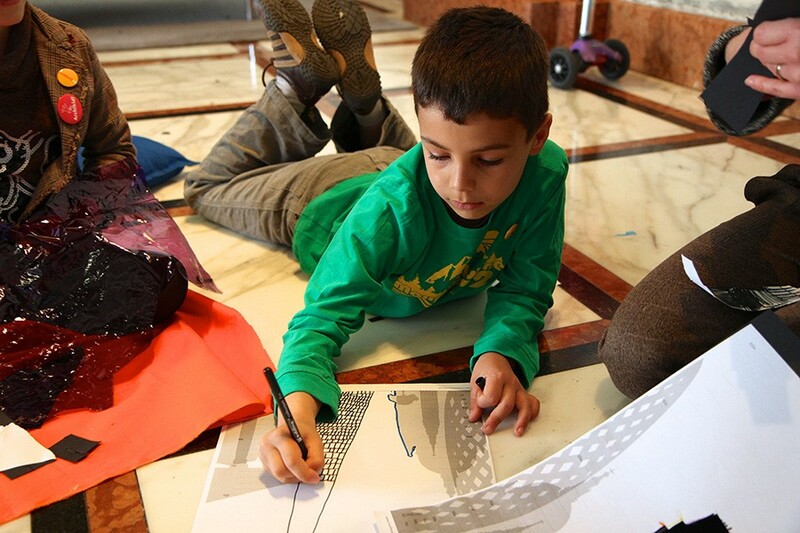 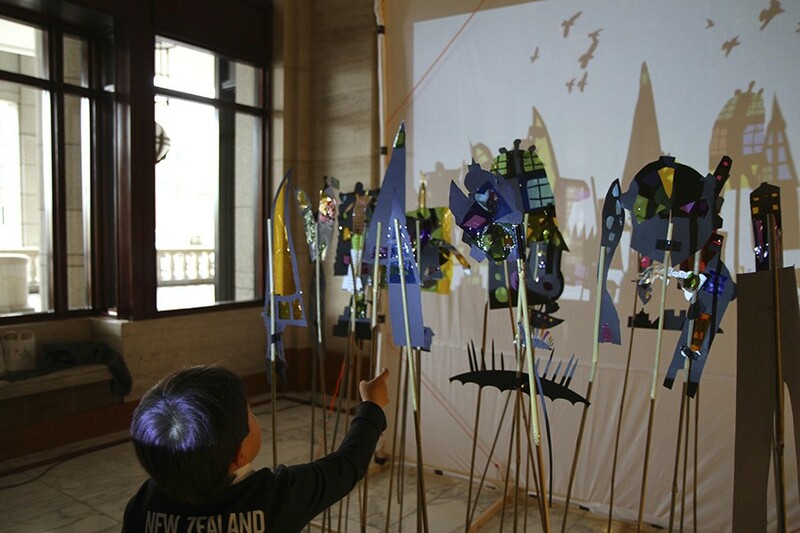 Children then have an opportunity to design and make their own skyscraper silhouette by assembling pre-cut card and coloured acetate shapes or cutting their own. 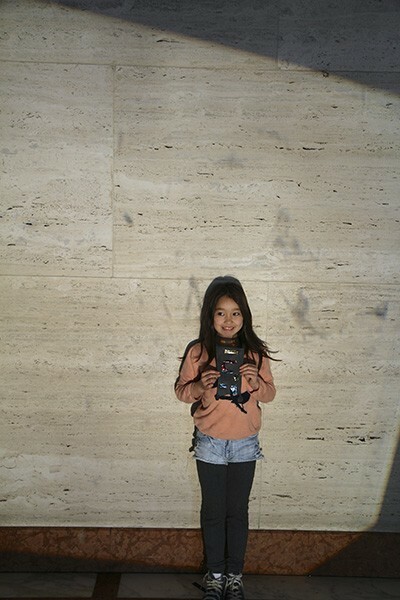 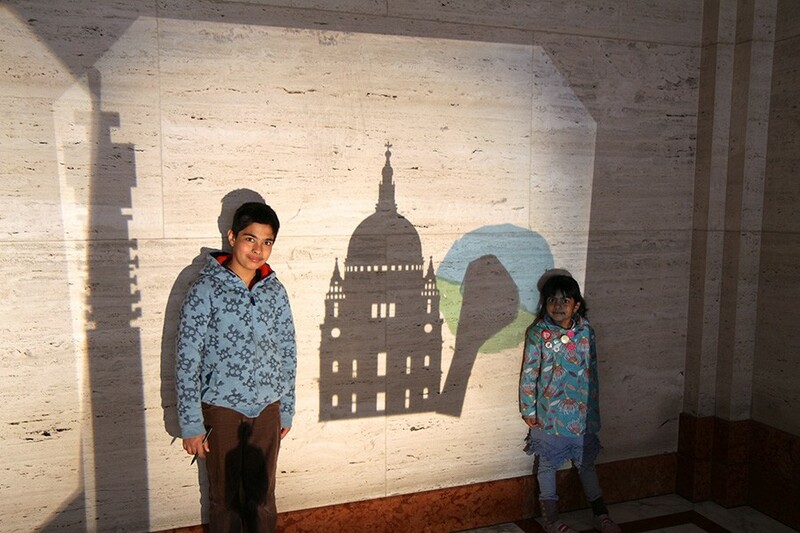 They are each be photographed in front of the screen, firstly holding their skyscraper before them, and secondly engulfed by their building projected 7m high onto the screen behind them. 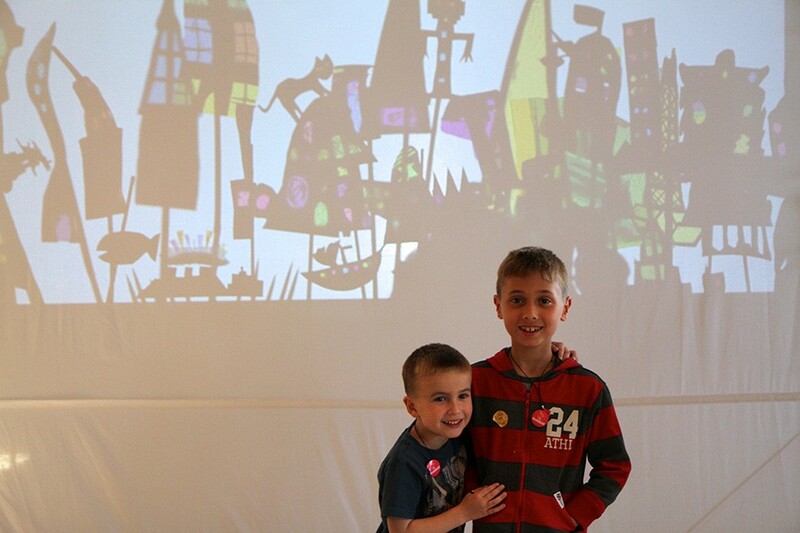 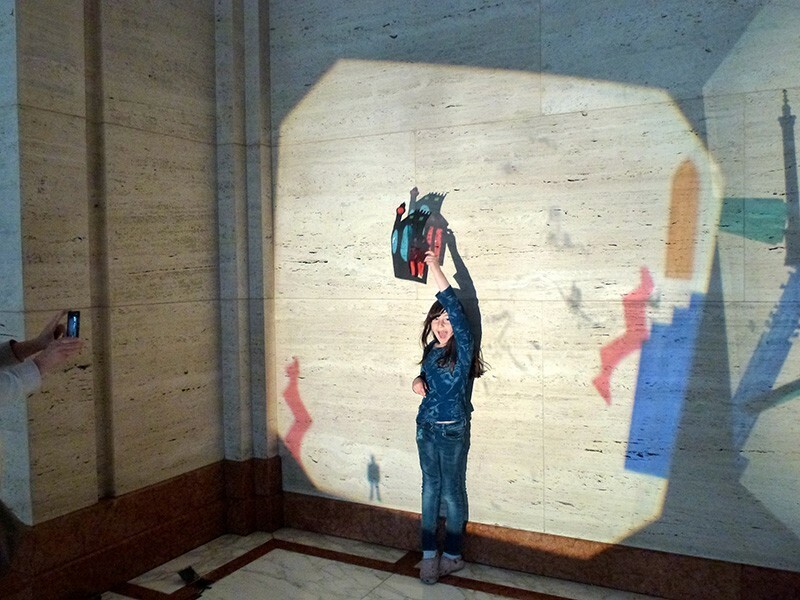 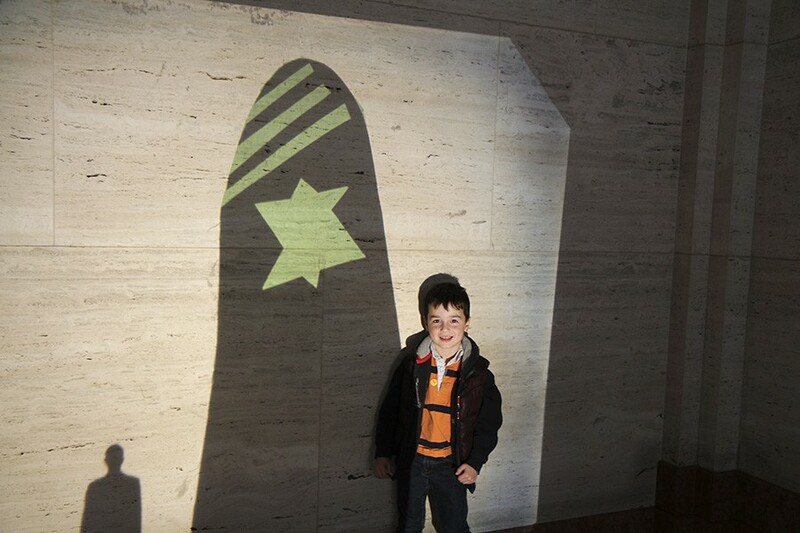 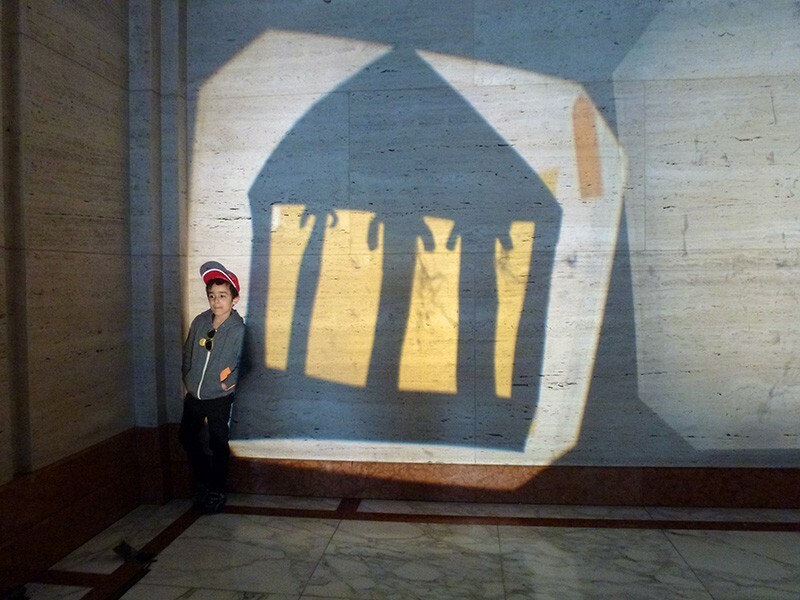 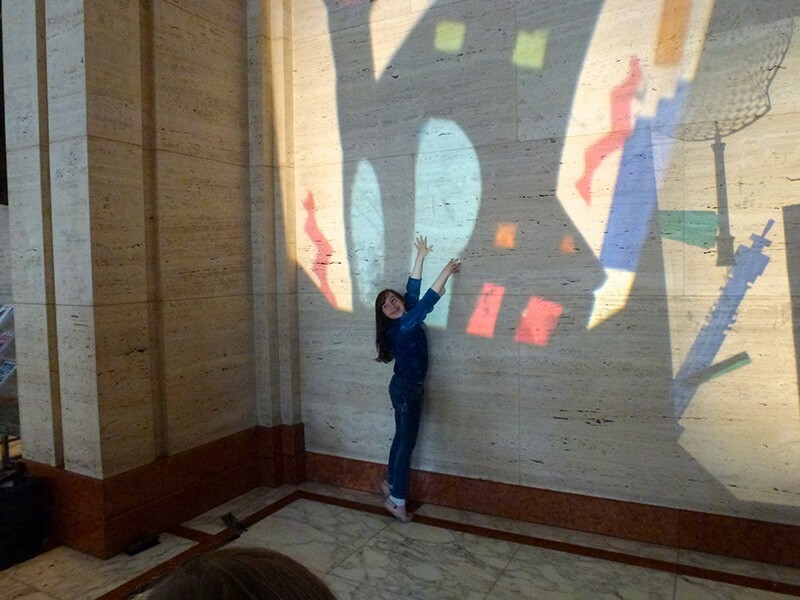 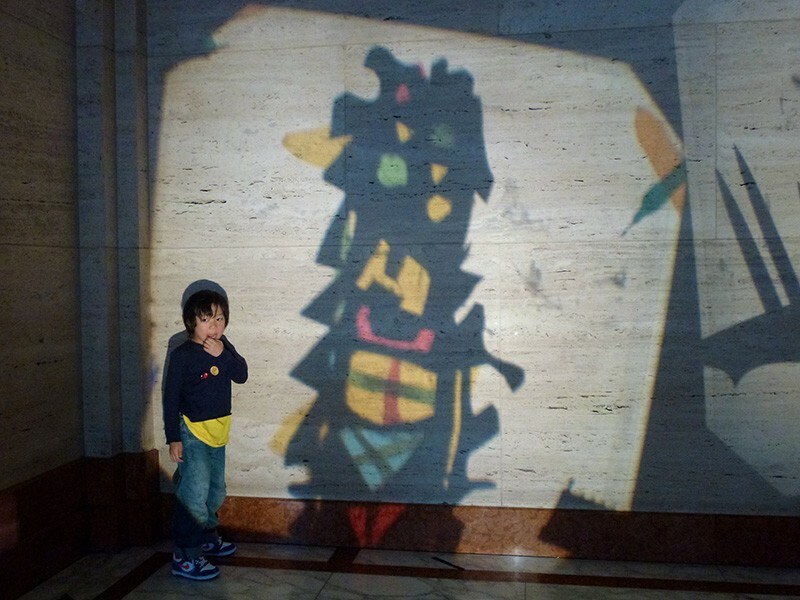 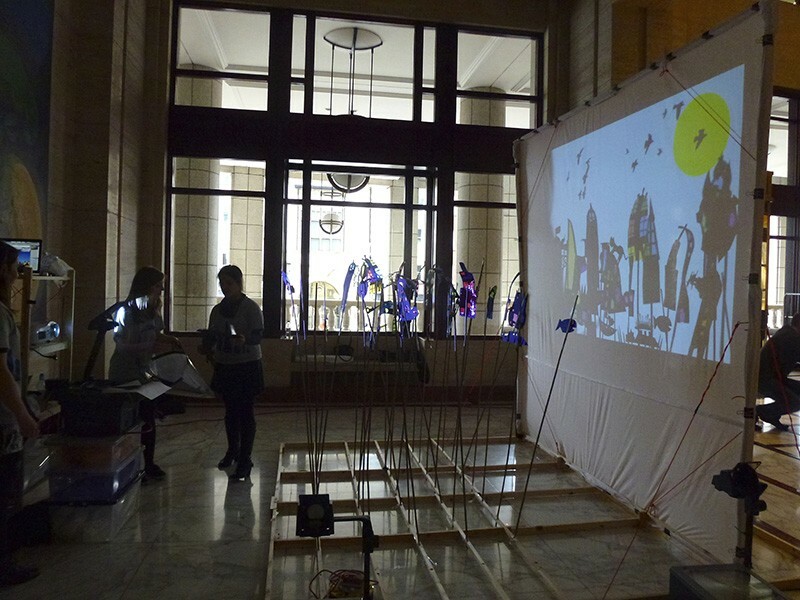 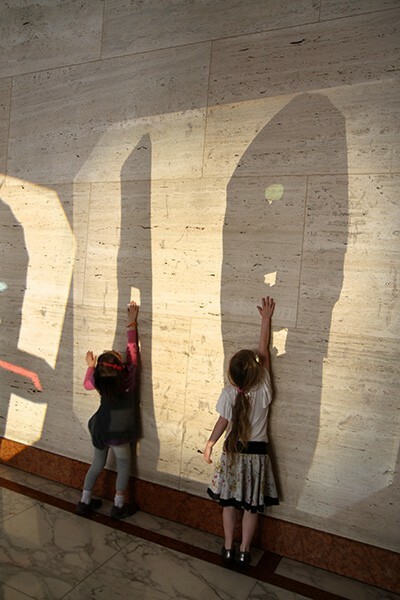 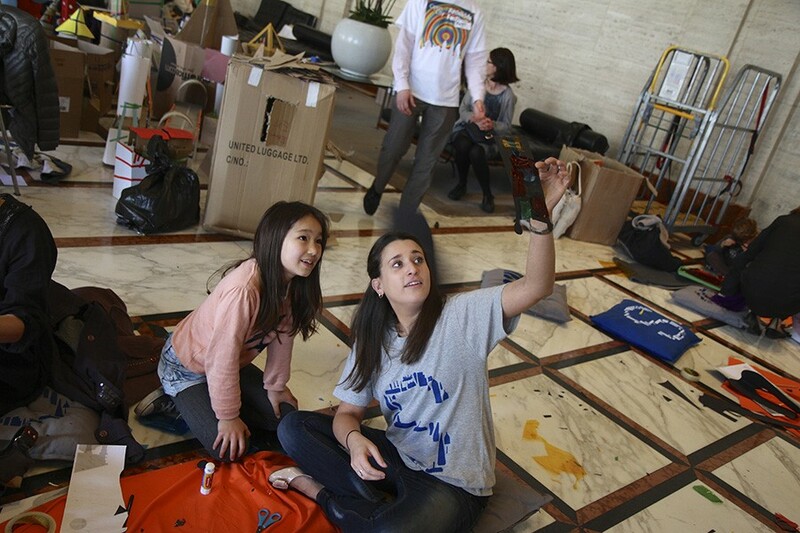 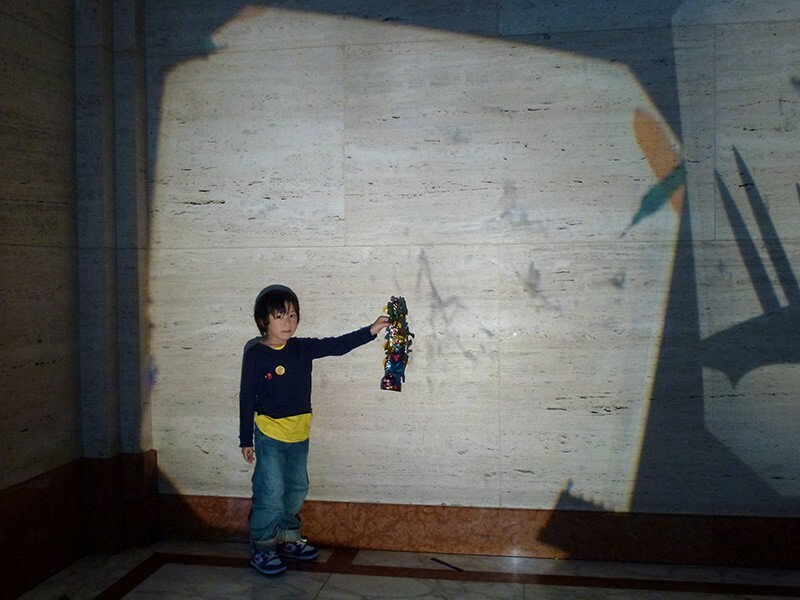 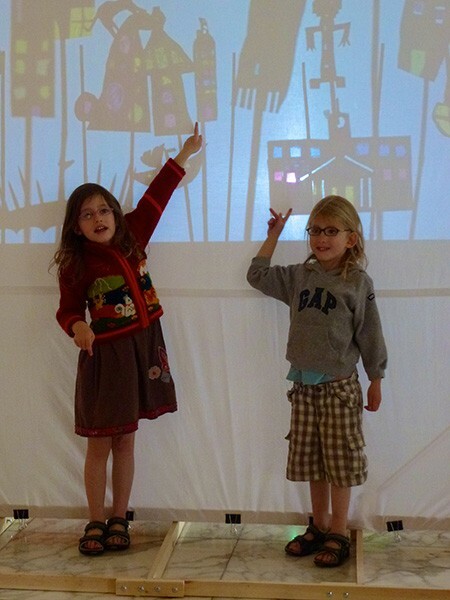 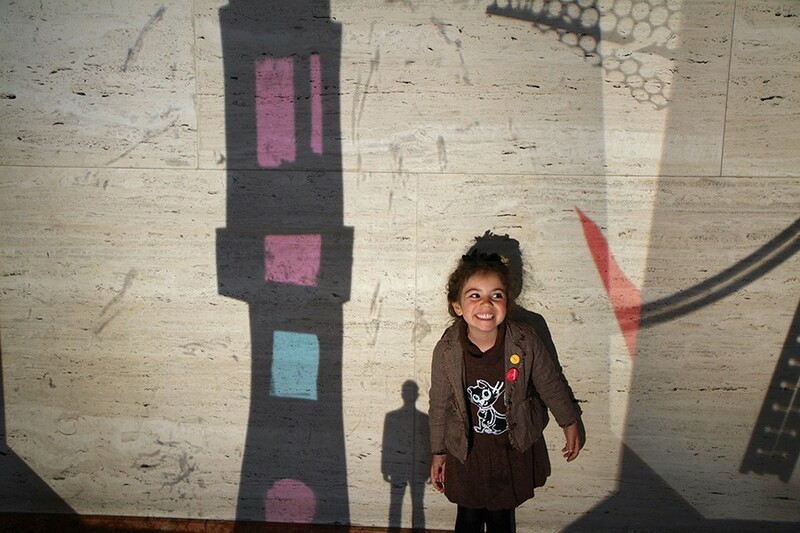 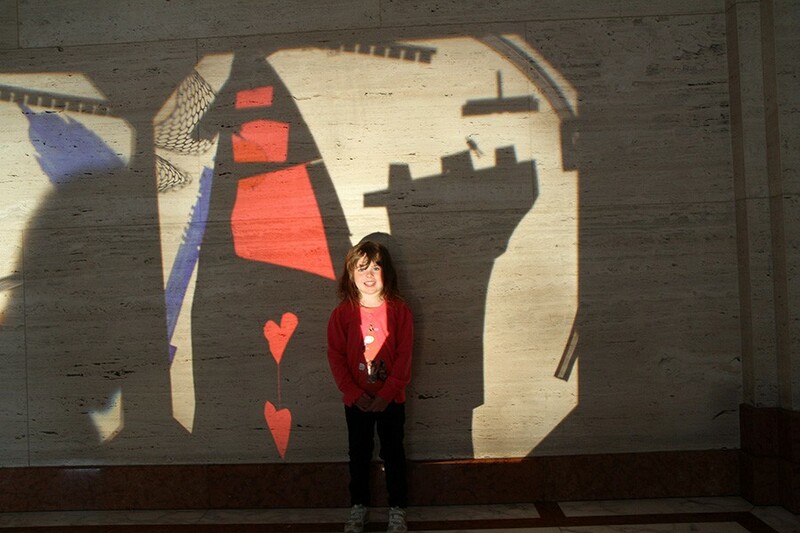 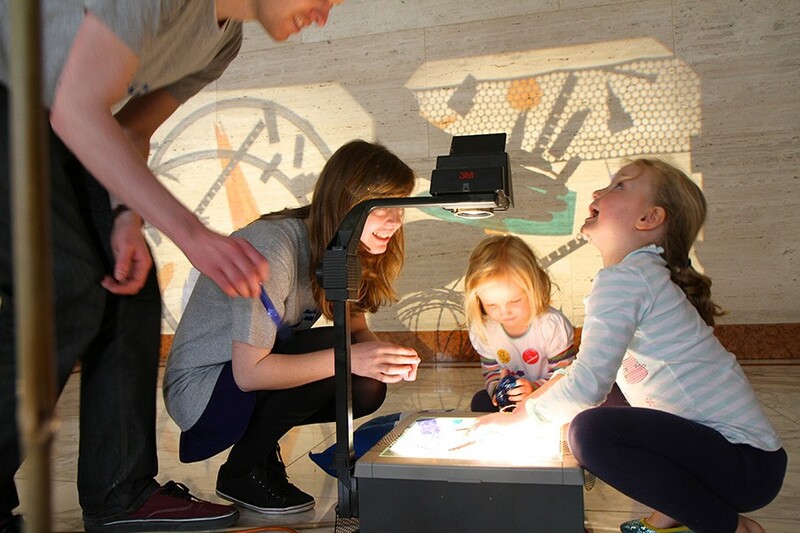 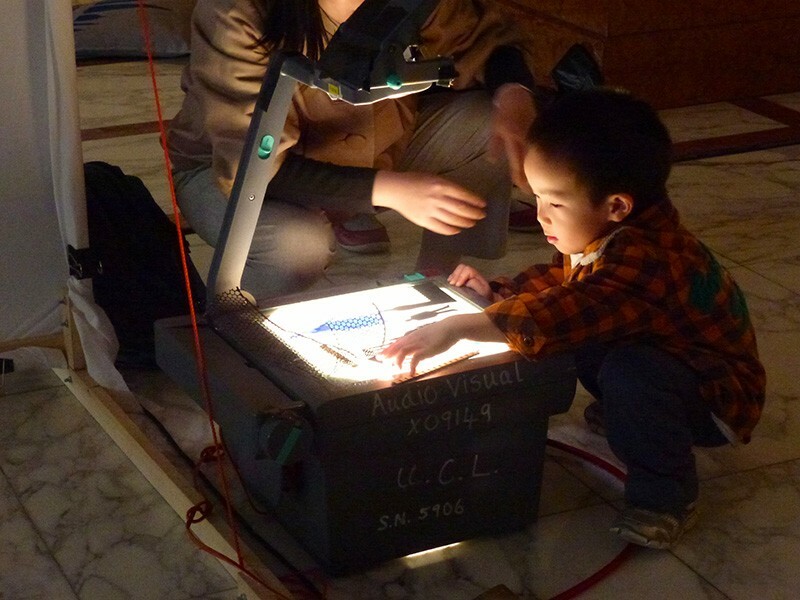 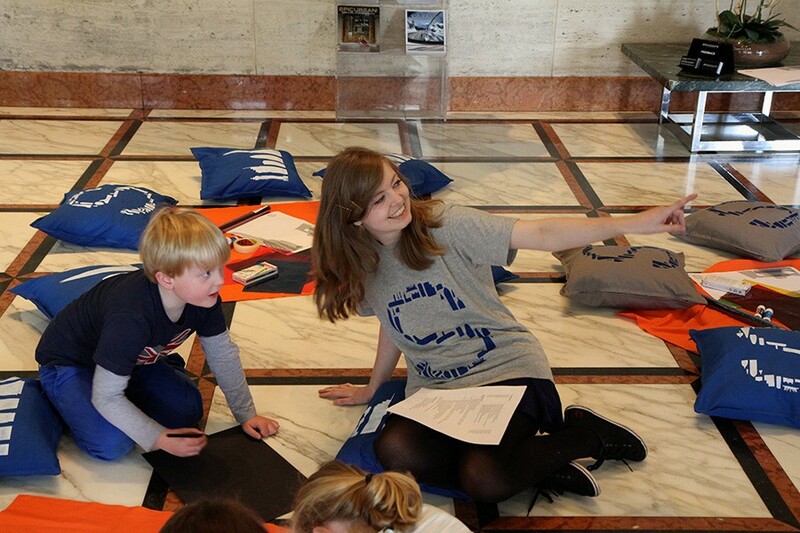 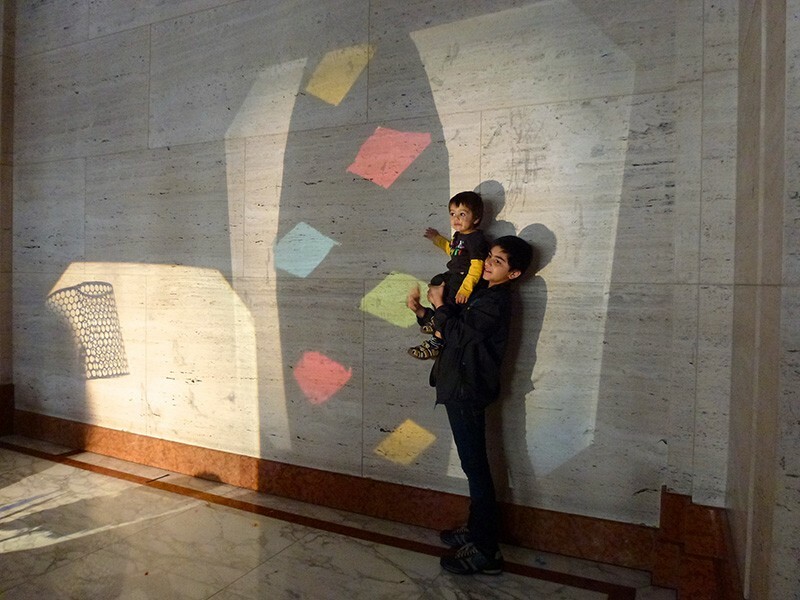 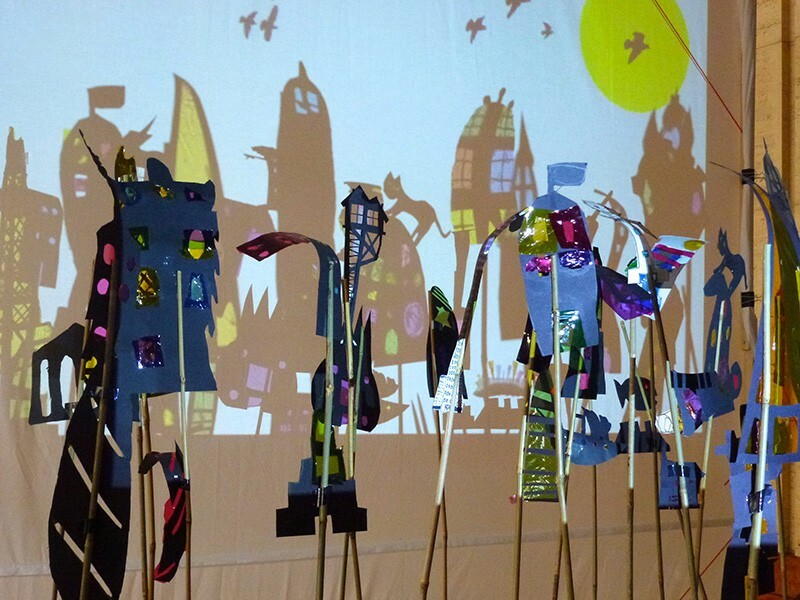 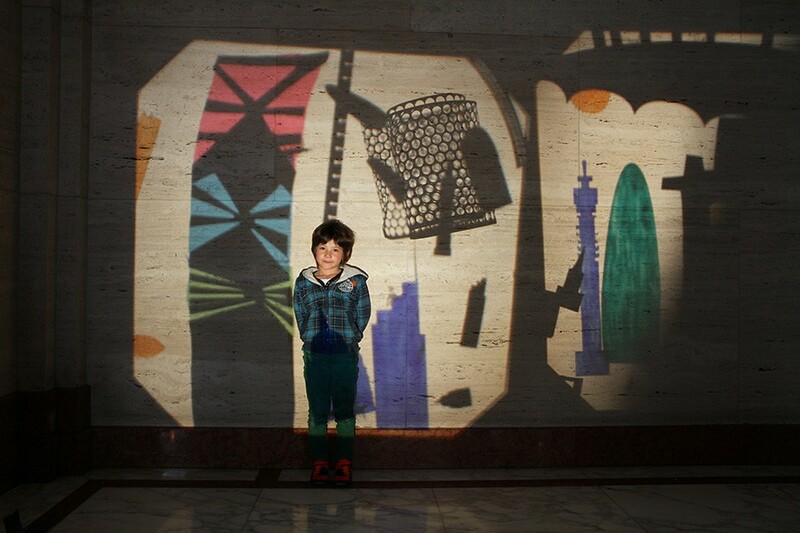 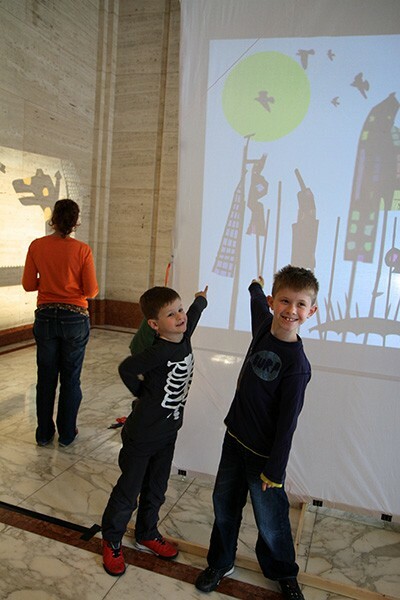 Groups of children experiment with scale by slotting their silhouette shadow puppets into moveable rails at different distances from the spotlight and composing how large it appears in their skyline. 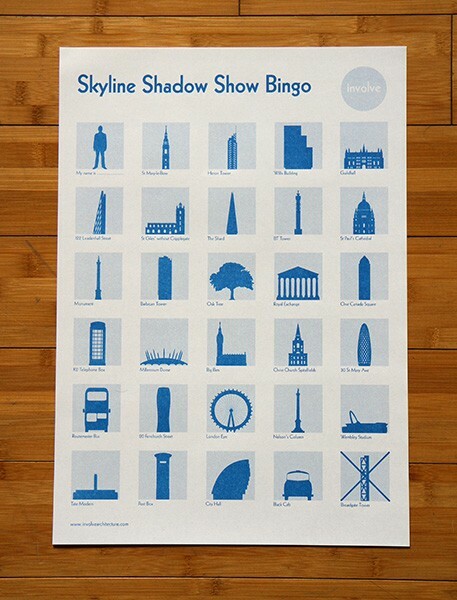 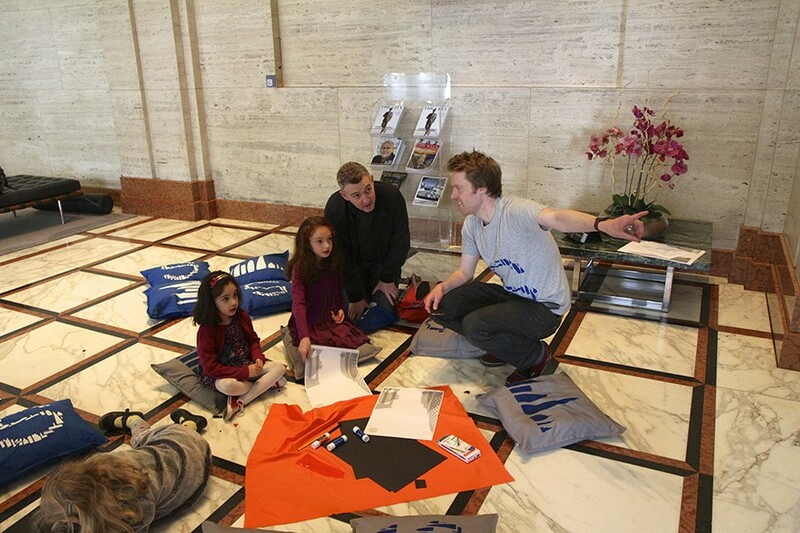 They leave with their shadow puppets and a London skyline silhouette collector poster to inspire further exploration.